National radio and TV programs look to Grace as a trusted guest. Her frequent media appearances include 100 Huntley Street and The Harvest Show. Her writing includes hundreds of articles for magazines including Focus on the Family, and Insights Canada. 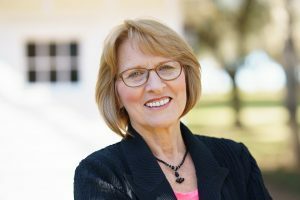 She’s written nine books including Moving from Fear to Freedom: A Woman’s Guide to Peace in Every Situation and the corresponding DVD-based Bible study. Grace lives in Vancouver, British Columbia with her husband. They’re the national co-directors of International Messengers Canada, a ministry that offers creative short-term and career missionary opportunities in Eastern Europe. Grace and her husband have been married for 37 years and have three grown children and eight grandchildren. 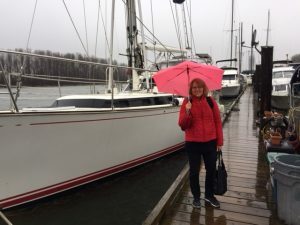 In winter 2018, they took a step of faith, sold their belongings, and moved aboard a sailboat. She knows how to live simply, and she loves it!